Happy Monday Fashionistas! This is a fun social media inspired outfit I wore yesterday on a shopping trip. Slogan tee’s are always a great way to make a statement and I think this is the perfect ‘Blogger’ t-shirt! 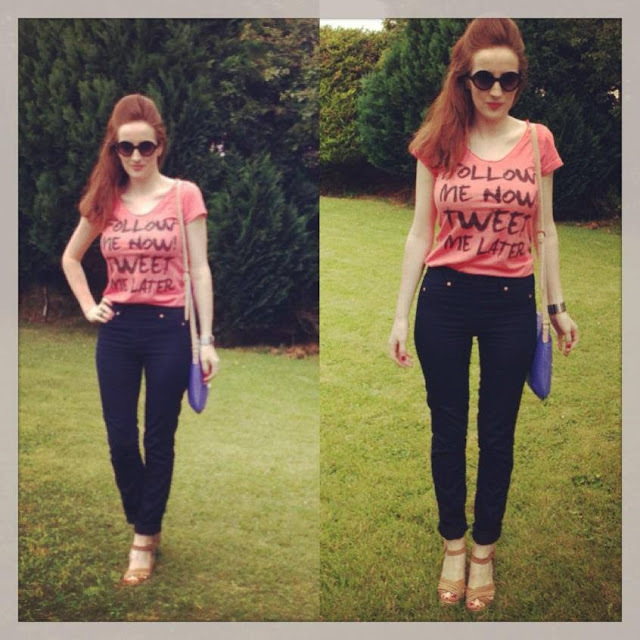 I also think this is a great way to incorporate social media into your personal fashion style. I purchased this tee in London last weekend in The Sting store on Regent Street which has tonnes of cute slogan tee’s and statement pieces you can easily work into your wardrobe. I am all for social media as a fashion trend and I can only see this becoming increasingly popular as we become more and more social media oriented. I teamed it with skinny jeans and wedges which I have had for ages. I also added my new Guess handbag which is a really cute blue/purple shade and round frame sunglasses from Forever 21. We are having another heatwave in Ireland at the moment. This has been the best Summer ever weather-wise, so expect some cute Summer looks on the blog over the next couple of weeks. I also have some exciting collaborations coming up on Bec Boop Fashionista World soon so watch this space! Again these photos are from my instagram page however I am hoping to invest in a good camera very soon so I can show you some better quality images in the future. If you have any camera recommendations for bloggers please let me know by commenting below. How do you work slogan tee’s into your fashion style? 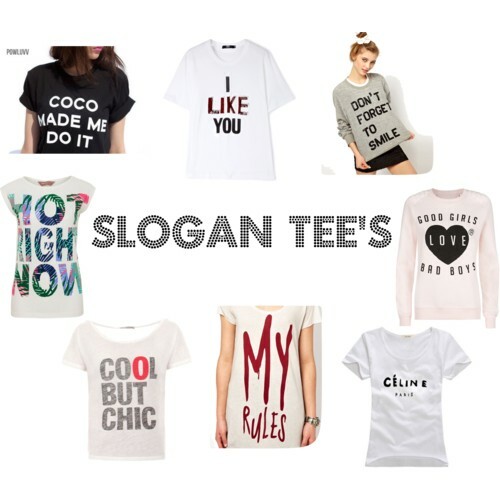 Take a look at some popular Slogan tee’s on my Polyvore set. 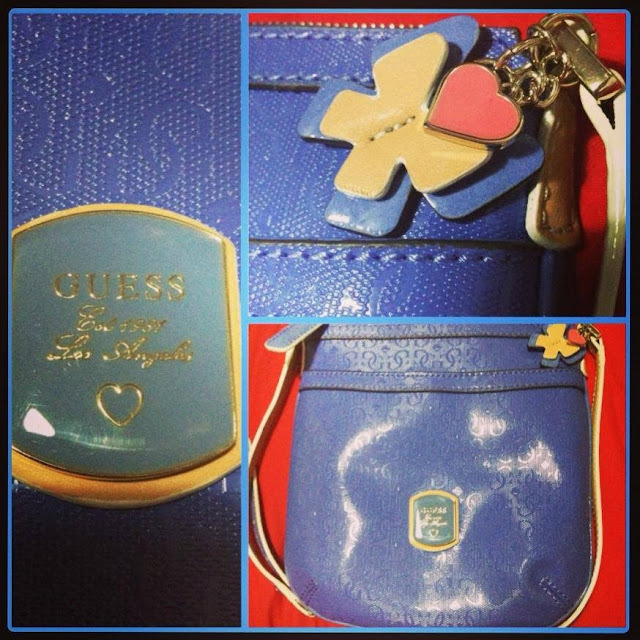 Do you think social media works as a fashion trend? Such fun effortless outfit! Love slogan tees.